Valhalla High School’s golf team continues to maintain a high degree of visibility, particularly due to the presence this spring of twin brothers Cameron and Parker Sisk. 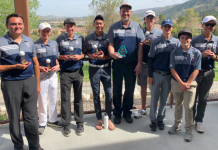 Cameron finished runner-up to Torrey Pines’ James Song at the San Diego Section championship tournament May 14 and May 16 at the Admiral Baker Golf Course in San Diego. Song shot a two-day score of 18-under while Sisk finished at 11-under. Song’s score of 126 set a new section record. Song shot 9-under both days; Sisk shot 4-under the first day and 7-under the second day. He said the runner-up section finish was a nice way to end his season year at Valhalla. The top two scoring teams — Torrey Pines and La Costa Canyon — advanced to the regional tournament, slated Thursday, May 24, at the Brookside Golf Course in Pasadena. The Sisk brothers were among 12 individual qualifiers for the regional tournament to bring the total number of section qualifiers to 24 for regionals. Parker Sisk finished 13th in the field with a score of even par. Both he and his brother qualified to compete at the regional tournament for the second consecutive year. Cameron Sisk has qualified for the regional tournament all four years on the Valhalla team. The 12 individual low scores (two-day total) advanced from the section to the regional tournament; the top six individuals and top three teams from each region advance to the state tournament May 30 at the San Gabriel Country Club. Torrey Pines racked up a two-day low score of 26-under to claim this year’s section team championship. Joining Song on the team champion Falcons were teammates Andi Xu, Luca Martinez, Jackson Rivera, Caden Fioroni and Ray Xiong. La Costa Canyon shot 24-over as a team to place second overall. The Mavericks’ lineup included Kento Yamawaki, Avery Schmidt, Matt Pennington, Ethan Sobel, Sam Lucas and Nate Williams. Yamawaki was last year’s section champion. Other individual qualifiers for the regional tournament included Carlsbad’s Thomas Stephenson (tied for fourth at 6-under), Rancho Bernardo’s Darien Zhao (sixth overall at 4-under), Cathedral Catholic’s Dylan Vizanko (tied for seventh at 3-under), Del Norte’s Jared Edillor (tied for seventh at 3-under) and Point Loma’s Jackson Moss (10th overall at 1-under). La Jolla Country Day’s Krando Nishiba, Sage Creek’s Dylan Menante and Parker Sisk all tied at even par, followed by Fallbrook’s Sebbi Winfield at 1-over, Santa Fe Christian’s Spencer Rydin at two-over and San Marcos’s Drew Norby at 3-over. Norby won a playoff with Scripps Ranch’s Matt Almquist for the final individual qualifier berth. Among non-regional qualifiers, Santana’s Joseph Morgan and Steele Canyon’s Robby Rickey both tied at 8-over. Tommy Jernigan also represented Valhalla on the leaderboard at 10-over. Eastlake’s Jumpei Hanaoka led South County golfers with a two-day round of 6-over, followed by Otay Ranch’s Umaan Avvari and Eastlake’s Matthew Du, both at 9-over, and Mater Dei Catholic’s Adrian Soriano at 10-over. The 12 teams making the finals at the Admiral Baker course included Carlsbad, Cathedral Catholic, Del Norte, El Camino, La Costa Canyon, La Jolla Country Day, La Jolla, Rancho Bernardo, Santa Fe Christian, Sage Creek, San Marcos and Torrey Pines. Cameron Sisk finished with a 3-under 68 at last year’s state tournament to tie for second place. He shot a 59 earlier this year to break a course record at the Steele Canyon Golf Club. He racked up 10 birdies and an eagle to accomplish the latter feat. 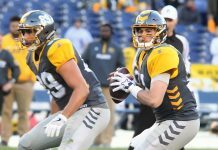 The honors for Sisk began to pile up even before the season reached its final stages. 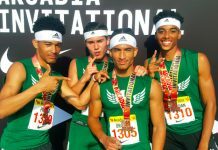 The Norseman senior earned honors as one of April’s Prep Stars of the Month as selected by the San Diego Hall of Champions after winning the Grossmont Hills League title. Sisk tied Steele Canyon’s Shea Lague with scores of 72, necessitating a playoff that Sisk won to capture the league championship. 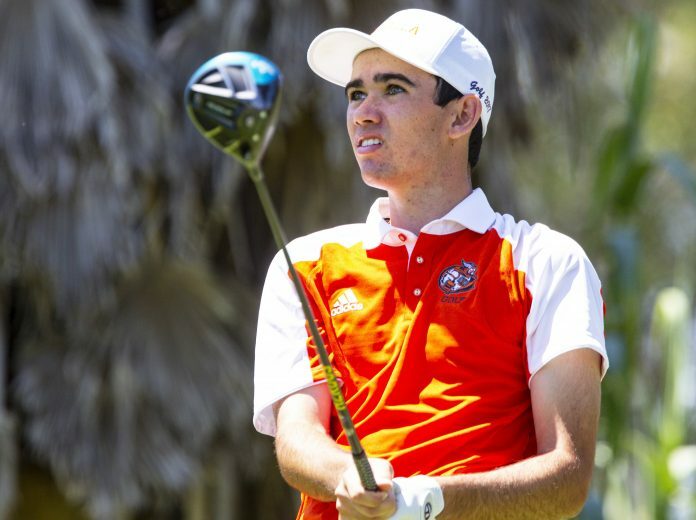 Sisk, the San Diego County Player of the Year in 2017, picked ASU over a large number of potential landing places in the world of collegiate golf, among them Washington, Oregon State, Northwestern, Illinois, Notre Dame, UCLA, Stanford, Cal Berkeley, San Diego State, University of San Diego, University of Nevada-Las Vegas and North Carolina. He visited a total of 13 schools around the country before making his final decision last May. He said the decision process was difficult because of the many great golf programs and coaches. He prepped for the current high school season by playing in a number of elite junior tournaments across the country last summer, including the prestigious U.S. Junior Amateur. He was among 156 golfers from around the world to qualify for that tournament.